It refers to the length of the outline of the enclosed figure. It refers to the surface of the enclosed figure. Square is a quadrilateral, with four equal sides. 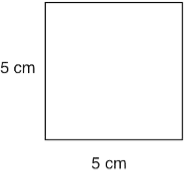 Find the area and perimeter of a square-shaped cardboard whose length is 5 cm. The rectangle is a quadrilateral, with equal opposite sides. 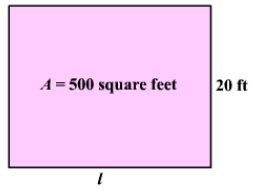 What is the length of a rectangular field if its width is 20 ft and Area is 500 ft2? 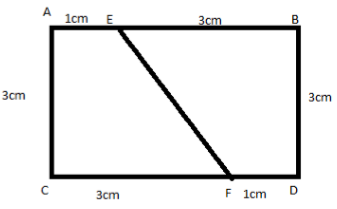 If we draw a diagonal of a rectangle then we get two equal sizes of triangles. So the area of these triangles will be half of the area of a rectangle. Likewise, if we draw two diagonals of a square then we get four equal sizes of triangles .so the area of each triangle will be one-fourth of the area of the square. 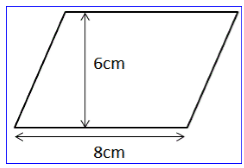 What will be the area of each triangle if we draw two diagonals of a square with side 7 cm? Two parts of a rectangle are congruent to each other if the area of the first part is equal to the area of the second part. It is a simple quadrilateral with two pairs of parallel sides. We can take any of the sides as the base of the parallelogram. And the perpendicular drawn on that side from the opposite vertex is the height of the parallelogram. Triangle is a three-sided closed polygon. If we join two congruent triangles together then we get a parallelogram. So the area of the triangle will be half of the area of the parallelogram. Note: All the congruent triangles are equal in area but the triangles equal in the area need not be congruent. It is a round, closed shape. The circumference of a circle refers to the distance around the circle. Radius: A straight line from the Circumference till the centre of the circle. Diameter: It refers to the line from one point of the Circumference to the other point of the Circumference. 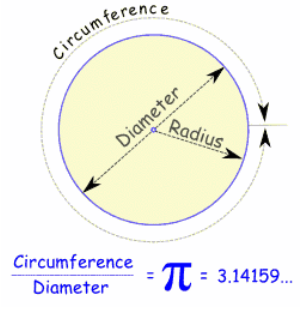 π (pi): It refers to the ratio of a circle's circumference to its diameter. What is the circumference of a circle of diameter 12 cm (Take π = 3.14)? 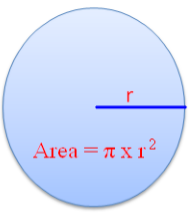 Find the area of a circle of radius 23 cm (use π = 3.14). Sometimes we need to convert the unit of the given measurements to make it similar to the other given units. We can use these concepts of area and perimeter of plane figures in our day to day life. 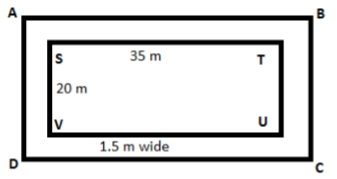 If we have a rectangular field and want to calculate that how long will be the length of the fence required to cover that field, then we will use the perimeter. If a child has to decorate a circular card with the lace then he can calculate the length of the lace required by calculating the circumference of the card, etc. A rectangular park is 35 m long and 20 m wide. A path 1.5 m wide is constructed outside the park. Find the area of the path.